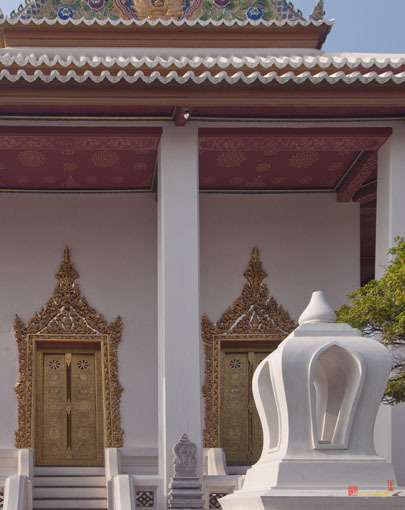 Wat Sommanatwihan Ratchaworawihan, วัดโสมนัสวิหารราชวรวิหาร, is a beautiful second class royal monastery of the Ratchaworawihan type. 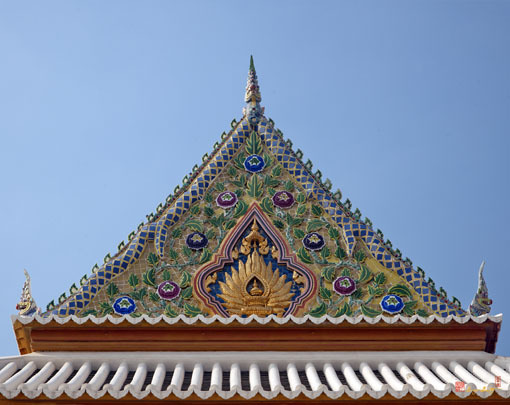 The temple was built in 1853 (B.E. 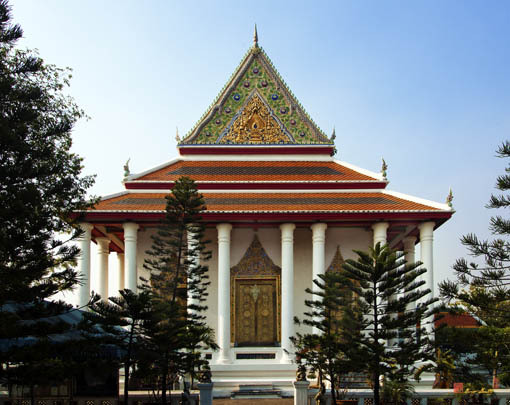 2396) by the order of King Rama IV as a dedication and memorial to Queen Somdet Phra Nang Chao Sommanat Watthanawidi. 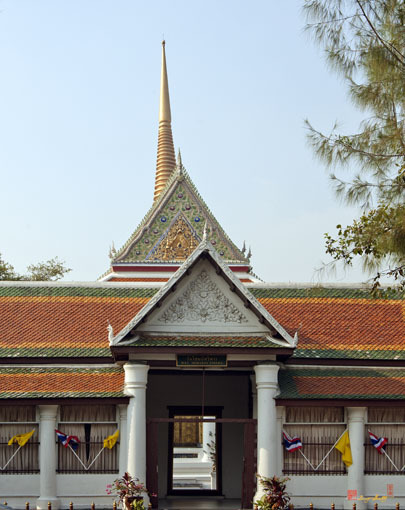 Accordingly, the King gave the temple the name Wat Sommanatwihan. 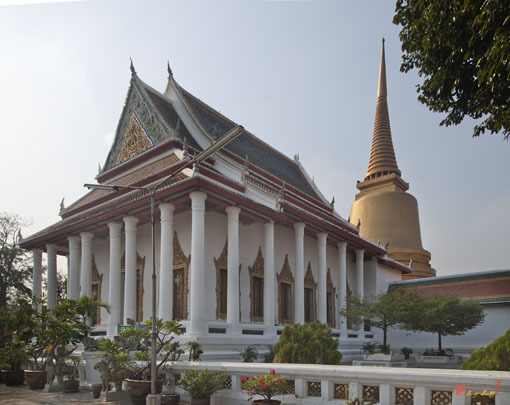 The Ubosot (Ordination Hall) is surrounded by a traditional boundary wall. 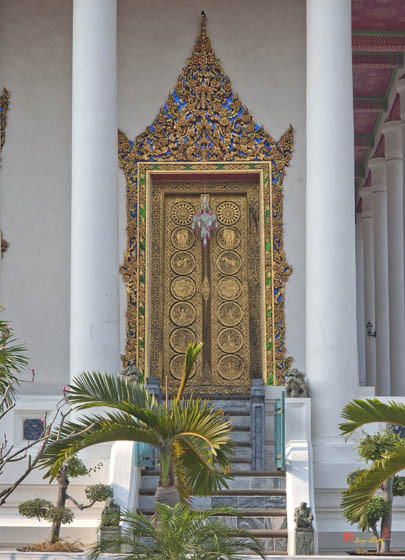 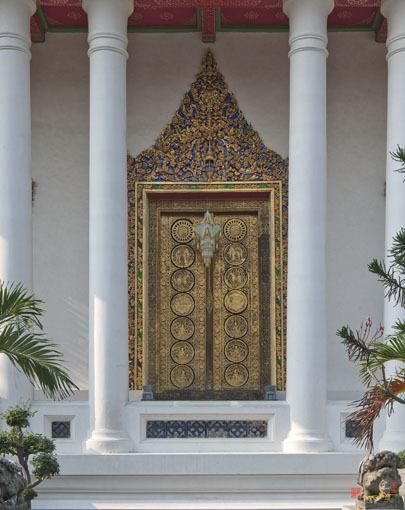 The door and window frames are decorated with gilded stucco and stained glass designed with the pattern of Phuttan flowers (Hibiscus mutabilis flowers). 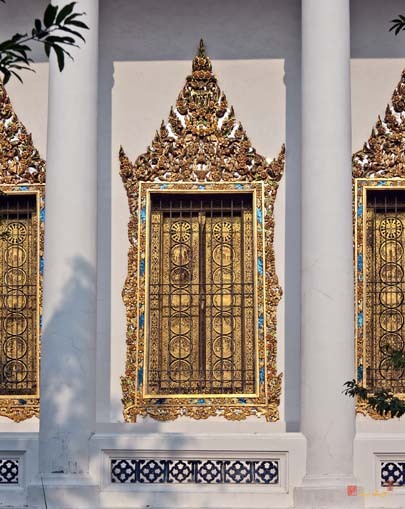 The gables are also stucco decorated with glazed tiles and bearing the royal insignia of King Rama IV and his Queen. 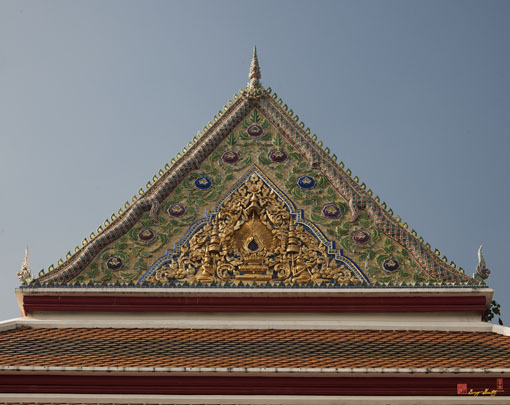 The principal Buddha image of the Ubosot is called Phra Buddha Siri. 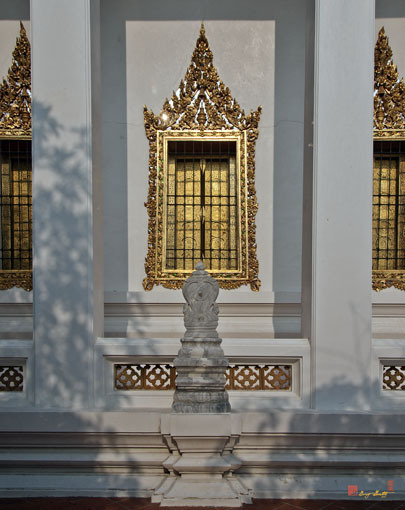 It was cast and brought from Wat Rachathiwat around 1856 (B.E. 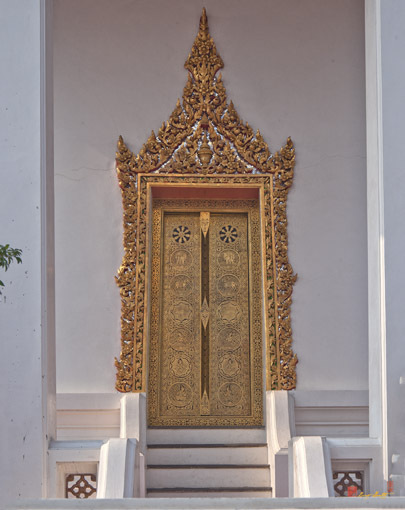 2399) by Somdet Phra Wannarat (Buddha Siri). 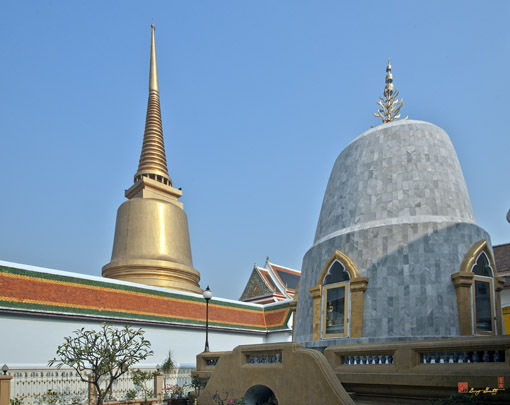 In the central area of the temple grounds, there is a huge Chedi (Pagoda) containing the Lord Buddha's relics. 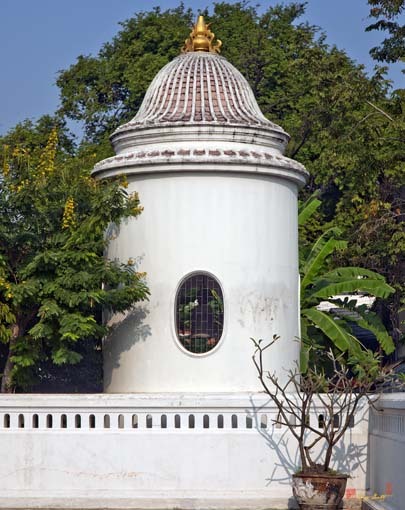 The bell and drum towers are round with a Chinese styled roof. 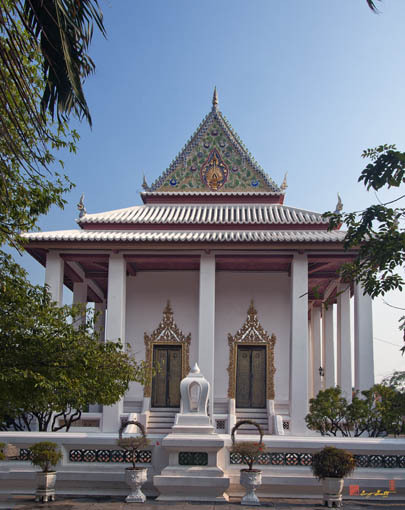 The temple is surrounded by two boundary walls; therefore, the monks can perform religious rites in both the Ubosot and Wihan (Sermon Hall). 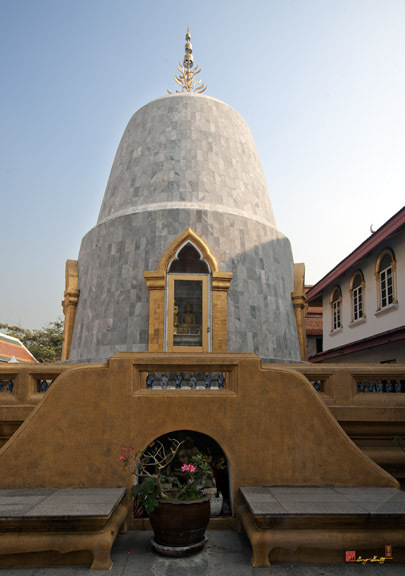 Adapted from historical marker at Wat Sommanatwihan Ratchaworawihan.